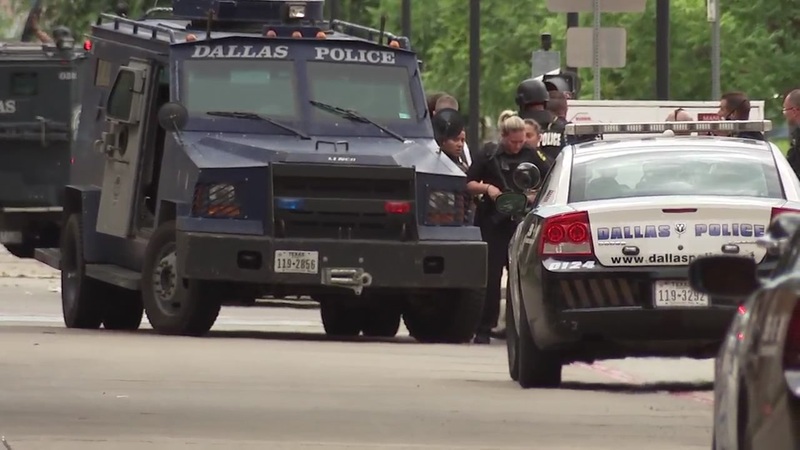 DALLAS, TX -- SWAT officers were called to the Dallas Police Department headquarters as a precaution after receiving a threatening tip on Saturday afternoon. According to an internal police memo obtained by Eyewitness News, a group from Houston was allegedly driving to Dallas with the intent of killing more police officers. After receiving reports that a suspicious person had entered the building's parking garage, police conducted a manual search and secondary canine search of the garage. Just before 8pm CT, police officials declared the scene clear, saying that the searches yielded no suspects. Employees have been allowed to return to their cars and leave the premises. Contrary to reports circulating on social media, no shots were fired throughout the ordeal.